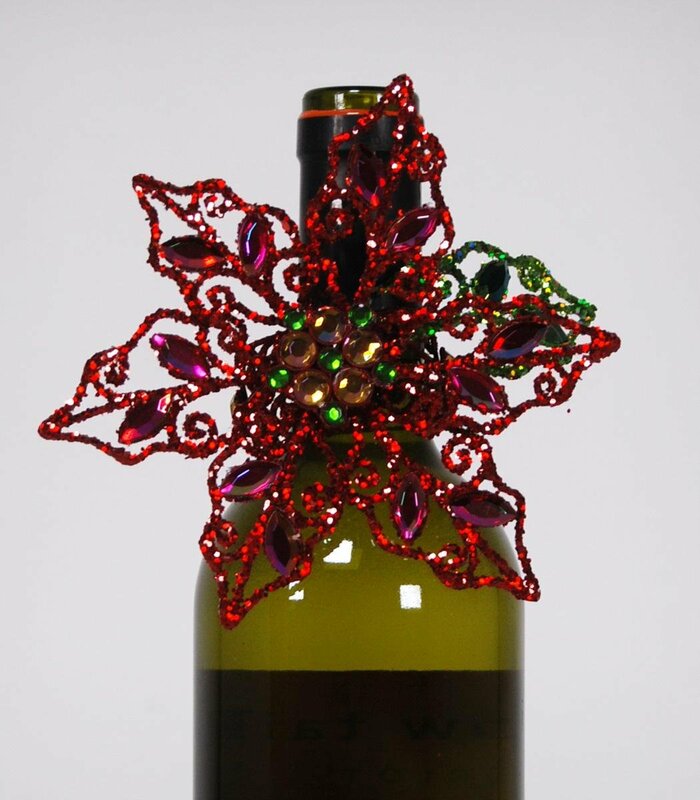 Recycled Wine Bottle - "Poinsettia"
Poinsettia is a recycled bottle of Vino with lights. Red tissue paper was cut and then applied to the bottle. 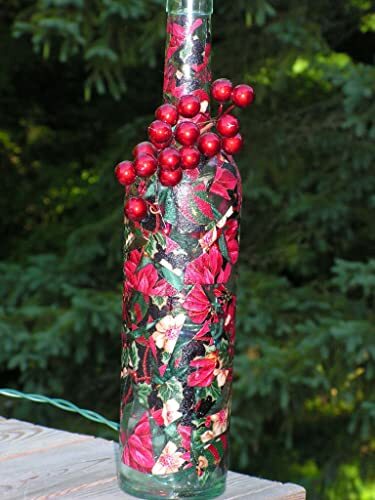 Faux poinsettia with leaves and pine needles were then glued to the neck of the bottle. 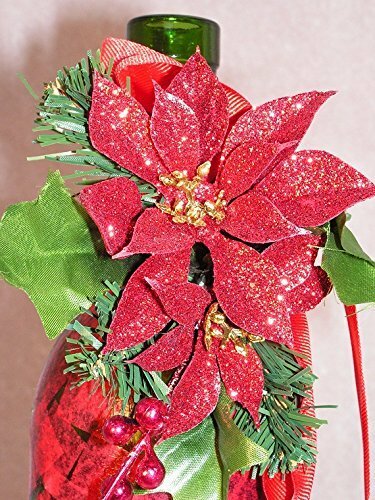 There is a simple red grosgrain ribbon that sits to the side of the focal poinsettia. The clear lights are fed through an opening at the bottom of the bottle that was drilled with a diamond bit to avoid chipping. 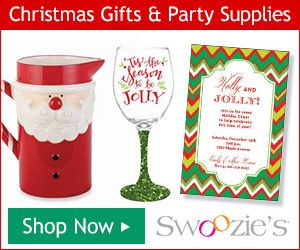 It's never to early to think about Christmas! 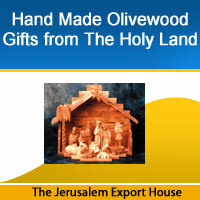 This would be a great decorative touch to any table or just part of your Christmas decor. Contact me if you desire multiples. 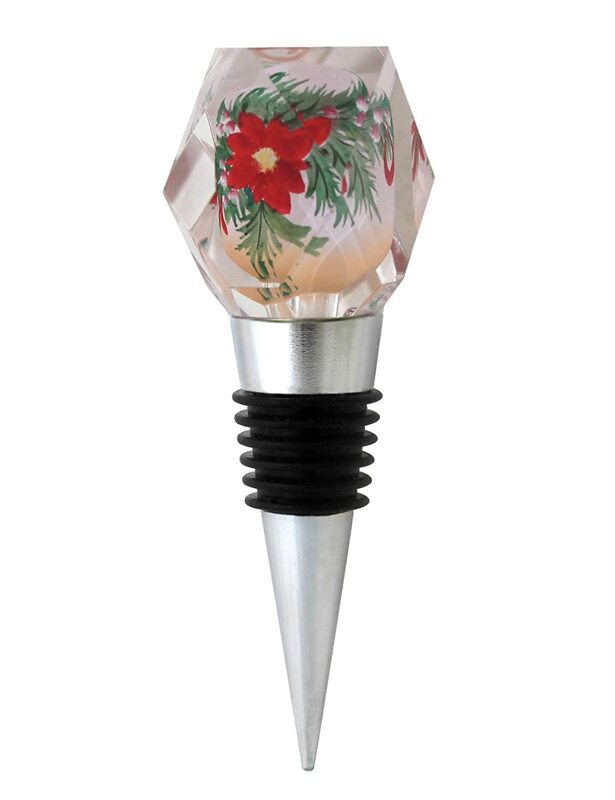 Christmas Elegance is an upcycled wine bottle with lights. It has been decorated with cut bits of Christmas fabric that has red and white poinsettias and Christmas ornaments. Even though the fabric has been cut into little bits and pieces you can still make out the motif. This is a luxurious looking bottle. The fabric makes this simple light green bottle scream of elegance. The fabric was Mod Podged on and then the entire bottle was painted with a low luster varnish. 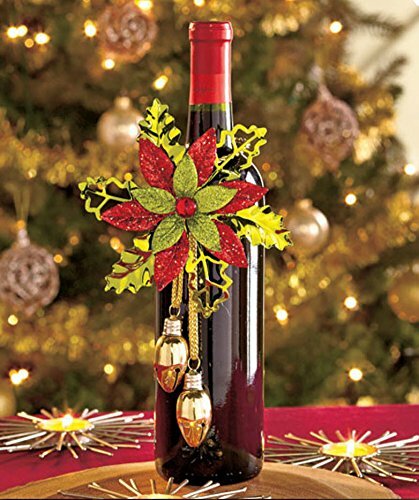 The neck of the bottle was decorated with a simple red "currant" floral pick that has been glued on with a glass glue. The 1/2" hole at the bottom of the bottle has been drilled with a diamond bit. The lights just add more to the elegance of this bottle. Do you love Christmas? If your color scheme is always elegant...the Christmas elegance is for you. Imagine what this little beauty will do to any little corner of your Christmas decor. Contact me if you desire multiples. 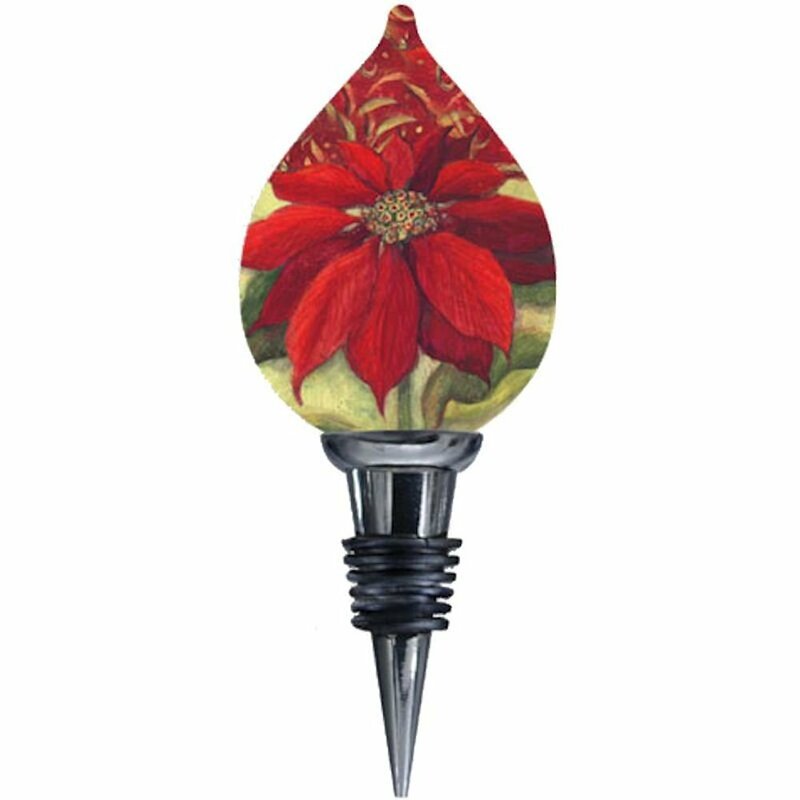 The pearl white enamel poinsettia bottle stopper. 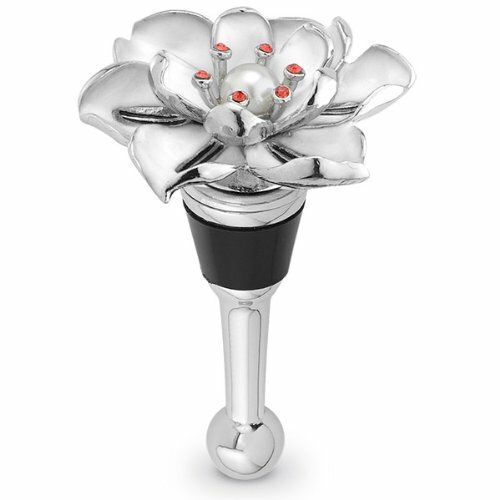 Elegant metal bottle stopper with rubber seal. Features inlaid enamel with red rhinestones and faux pearl center. Dimensions: 2" x 3". 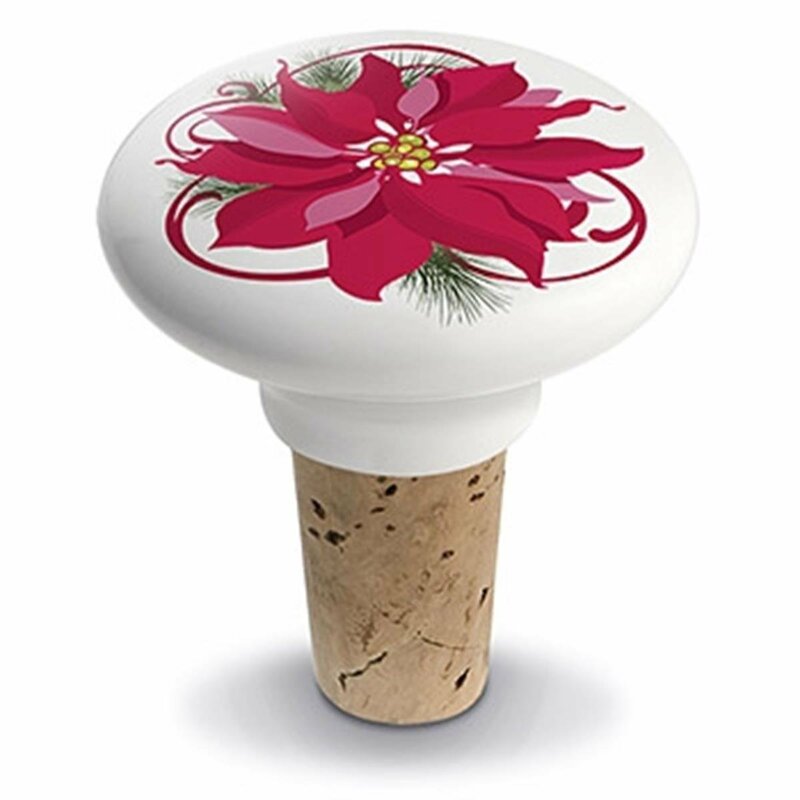 This is ceramic bottle stopper,festive ceramic top with poinsettia and pine accents this stopper. Stopper base is made of real cork. Dimensions: 2" x 2". 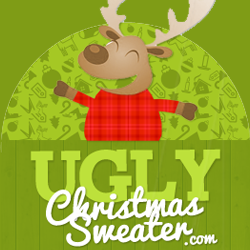 With all of these wonderful holiday get togethers coming up, it is a perfect time to stock up on Vino Vests. 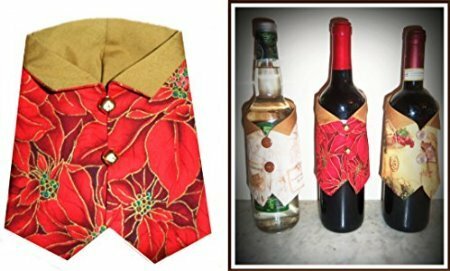 Dress up any wine bottle with these trendy vests and make it special! 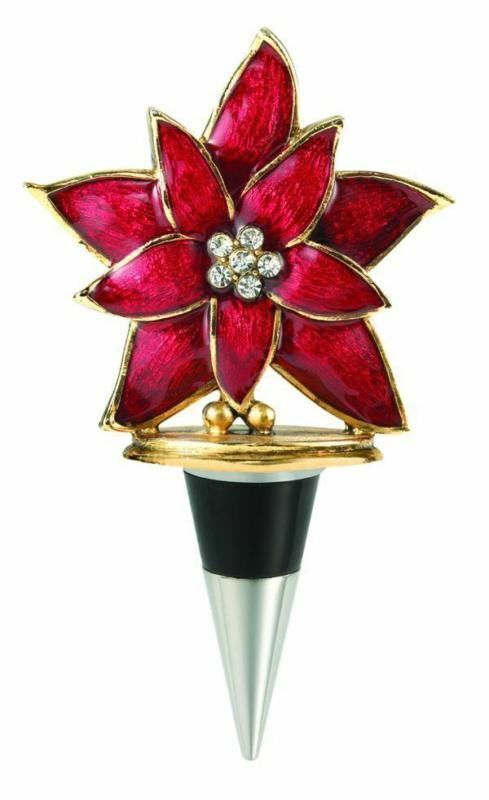 Olivia Riegel SWAROVSKI Poinsettia WineHandcrafted cast metal wine bottle stopper, bejeweled with fine Swarovski crystals. A beautiful accompaniment to your favorite bottles of wine ... and your home. Measure 2.75"W x 4.5"H. Comes in an black satin-lined box. By Olivia Riegel.